Can I give my house in Tucson back to the bank without an expensive foreclosure? Trying To Avoid Foreclosure in Tucson? You may be considering giving your house back to the bank.. is it a wise decision? Can I give my Tucson AZ house back to the bank without an expensive foreclosure? There are many ways to avoid an expensive foreclosure in Tucson. Your first step if you’re trying to avoid foreclosure in Tucson is to speak with your loan provider immediately to examine your choices to prevent home foreclosure. Is selling your house in Tucson AZ a way to avoid foreclosure? You could probably be free from the financial hole you are in by selling your house for sufficient cash to pay the home loan off. And sometimes you may be able to have money left to start over again. This is an excellent approach to prevent foreclosure of your Tucson house and avoid a disaster on your credit score at the same time. Another way to stop property foreclosure in Tucson is to really cut your spending right down to the bare minimum. If you’re able to reduce your expenses adequately you could avoid having to offer to sell the house you love. For anyone who is self-employed, one method to spend less would be to stop renting an office and make a workplace at home. You could also think about selling a car and having just one that you share. 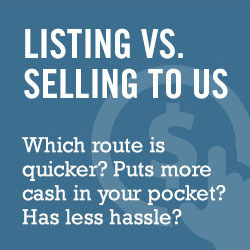 We Buy Local Tucson Houses… Can We Make You An Offer? Here at We Buy Homes In Tucson we buy houses in Tucson AZ and surrounding areas and we may be able to help you get out of your house and avoid foreclosure.